The Periyar House is situated on a hillock within the salient area of the periyar wild life sanctuary. It has good quality features and facilities. Do you want to know more details about this hotel. Read here about Hotel Periyar House's facilities, services and contact Address. The Hotel Periyar House is very famous hotel which is located in Kerala and it is an Ideal for a closer acquaintance of wildlife. Periyar House is sandwiched between Western Ghats and the Arabian Sea. Kerala is an amazingly stunning and beautiful strip of land and many a ship .44 rooms restaurant CCTV facility also available for Visitors safety. The climate is pleasantly cool throughout the year and the unpolluted mountain air truly invigorating and the experience sublime. Once you come enjoy the Gods Native Place with good in nature. 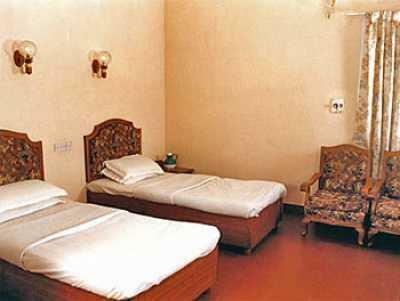 This Periyar House is mostly liked by many peoples and it is fully furnished with great values. The Interior and exterior are good enough. Periyar House is mostly liked by Honeymooners. Car Hiring is also available for guest to visit some tourist spots around the Hotel Tree Top Doctor-on-call facility also available for guests. Here everything is in traditional and village style that admires most of the Guest to drive in for Hotel Tree Top. The Tariff plans are starts from Rs.1300-3390 and all rooms are furnished with both A/C and Non A/c Rooms. Persons above 12 years are considered to be adult and full tariff rate is applicable. Refreshing Ayurveda Treatments and Yogasanas Also Taken Here come and enjoy the Breeze of Natures Beauty once. The Hotel Periyar House is got with its natural beauty over the lake and the view are fascinating for everyone who wants to admire Kerala. Here Many facilities are available for guests with moderate cost and guest can experience a pleasure full atmosphere overall in the Hotel Tree Top. Overall the views captured here are most memorable and can able to hide it from others. And people will surely like this place if they visit. The atmosphere overall tends every people to come again and again .All types of credit Cards are accepted here for visitors convenience online booking facility also available here. Here there is a Boating in the Famous Periyar Lake is very enjoyable and you will spot wildlife sanctuaries on either side as you cruise along. Some of the rarest species of flora and fauna can be found here. The Exotic Mangaladevi temple and The Pallikannu which is the 18th century British Church is also located very nearer to the Hotel. These are some of the sightseeing areas in and around this hotel.